In 1949, the Federal Government granted Goleta Beach Park to Santa Barbara County. In 1953, the County granted the Park to the State of California. The State granted it back to the County in 1970. 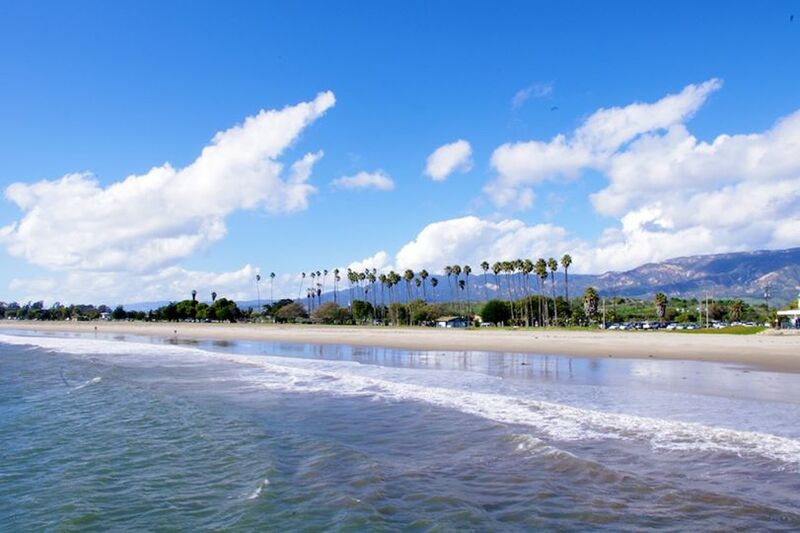 Known for its long fishing pier and sunbathing beaches, Goleta Beach Park provides 29 acres of recreation for bicyclists, beach goers, surfers, fishers, and more. Between the lively restaurant Beachside Bar Cafe and the BBQ picnic areas, visitors can jump into a game of volleyball, swing on the playground or play horseshoes. The 1,500-foot pier in Goleta Beach Park provides boaters, fishermen, and families out for a stroll, an engaging view of the Pacific coast. As of February 7, recreational activities like swimming and surfing in ocean waters at Goleta Beach are not advised, due to storm runoff. Land-based activities like strolling on beaches, barbecuing, use of the playground, and volleyball are permitted. The Santa Barbara County Department of Public Health tests water quality twice a week and expects this advisory to lift soon.